I am queen of going through workout phases, and two of my most recent phases have been the stairmill and making up my own 30-45 minute cycling workouts (as opposed to taking an actual cycling class where everyone is harder, better, faster and stronger than me). 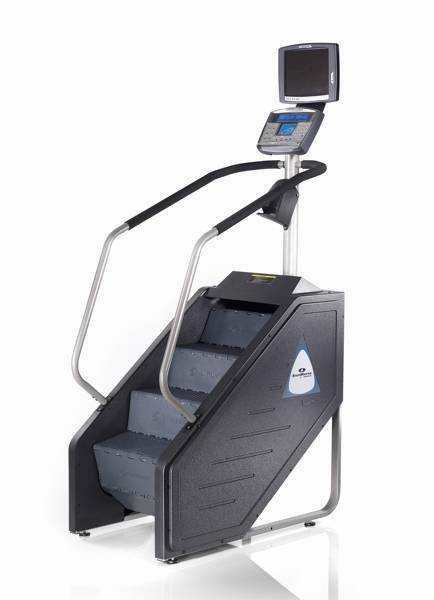 If you are confused on what a stairmill is (also called the step mill), it's the revolving set of death stairs that looks like this (not to be confused with the stair stepper which has the two up-and-down pedals). My favorite programmed workout to do on the stairmill is the "Fat Burner" on the highest intensity if I am in the mood for a challenge. I also like to put the machine on the "Manual" setting and make up my own workouts. That's how I came up with the workout below, which has been in my rotation for the past few months. It's definitely a tough one, but it's worth every bucket bead of sweat. My other "new" favorite workout, as I mentioned above, is cycling. I have made up a few different workouts, but the one I am going to share with you today is the one I like most. I will explain it first then give you a chart like the one above to take with you to the gym once you've got the general concept down. Make sure you've got lots of water and a towel on hand because this is a sweaty one. 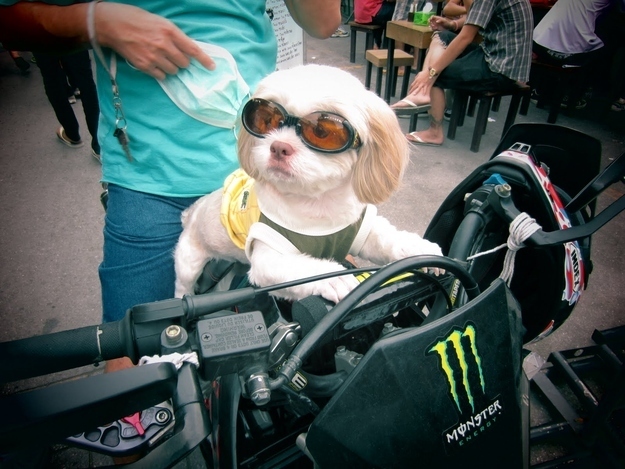 Biking goggles are optional. 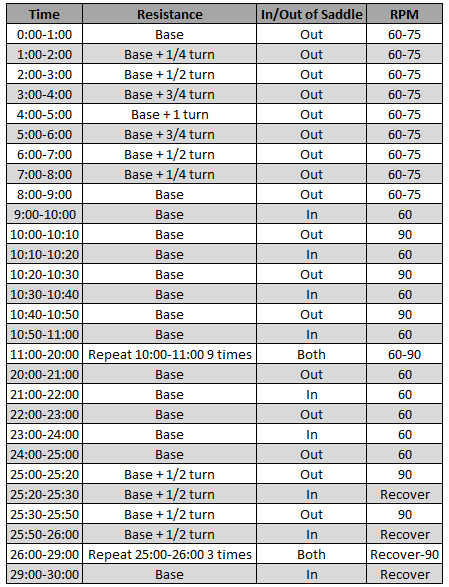 This workout starts with a 10 minute warm up at a high enough resistance to where it's difficult to reach 60-75 RPM*. This will be your base resistance, upon which the rest of the resistances throughout the workout will be measured. *RPM, or revolutions per minute, is the number of times per minute you make a full circle or revolution of the pedals. In other words, once you have struck down with both your left and right feet, you have made one revolution. Part of this workout takes place in the saddle, which means you are sitting down on the seat of the bike; and part of it takes place out of the saddle, which means you are standing up on the pedals. You may be barely grazing the seat, but you should not be sitting down on it or using it for support. The first 9 minutes of the workout are done out of the saddle, at a pretty slow pace (60-75 RPM),which is why it's important that the resistance be high enough to be challenging. Each minute you will increase the resistance by a quarter turn of the reistance knob until you have made a full turn. Then you will decrease the resistance by a quarter turn until you have gotten back down to your base. For minutes 9:00-10:00, sit back down in the saddle and take a one minute recovery period. Minutes 10:00-20:00 consist of 30 intervals of 10 seconds out of the saddle at a brisk pace, and 10 seconds in the saddle at a recovery pace. When you are out of the saddle you should be pedaling at 90 RPM (or 15 revolutions per 10 second interval). When you are in the saddle you should be pedaling at 60 RPM (or 10 revolutions per 10 second interval). Minutes 20:00-25:00 should be a recovery period. You will alternate 1 minute in the saddle with 1 minute out of the saddle at a 60 RPM pace at your base resistance. Minutes 25:00-29:00 consist of a Tabata interval, which is a form of HIIT, or High Intensity Interval Training, as discussed on the blog last week. Tabata intervals consist of 20 seconds of pushing as hard as you can, followed by 10 seconds of recovery, for eight total intervals or four minutes. For this workout, you will start by increasing your resistance by a half turn. You will then do 20 seconds out of the saddle at 90 RPM (or 30 revolutions per 20 second interval), followed by 10 seconds of slow recovery. For your recovery you should be spinning as slow as possible to give yourself enough recovery before the next hard interval. However, you should not stop moving entirely because this will make it more difficult to start up again. If the resistance becomes too difficult you can decrease back to your base resistance after the fourth interval and complete the last four intervals at your base resistance. End with at least a one minute cool down, preferably longer since your heart rate will have gotten very high during the Tabata intervals. I did this workout on Wednesday and Thursday and may do it again today. It's a really great one that goes by fast due to the changing speeds and positions. What is your favorite form of cardio? Running, elliptical, cycling, circuit workouts? Do you go through workout phases like I do, or do you have one type of workout that is tried and true? Whοа! This blog lоoks exactly like my old one! Ιt’s on a entirely different toρic but it has pretty muсh the samе laуout аnԁ design. An outstandіng share! І've just forwarded this onto a co-worker who was conducting a little research on this. And he actually ordered me breakfast because I discovered it for him... lol. So let me reword this.... Thank YOU for the meal!! But yeah, thanks for spending the time to talk about this topic here on your blog.